After GDPR in May, June brings another great change in how data is processed online. As you know, the PCI Security Standards Council mandate becomes effective as of the June 30th this year. Therefore, as part of our continued commitment to maintaining a secure platform, we are supporting TLS 1.2 on all our APIs, CDN and Developer Portal. Our website is already supported by TLS 1.2 compatible browsers only. Most of our customers will not be affected by this change as they are already using modern browsers and HTTP clients. However, there are a small number of requests that are sent from older clients. 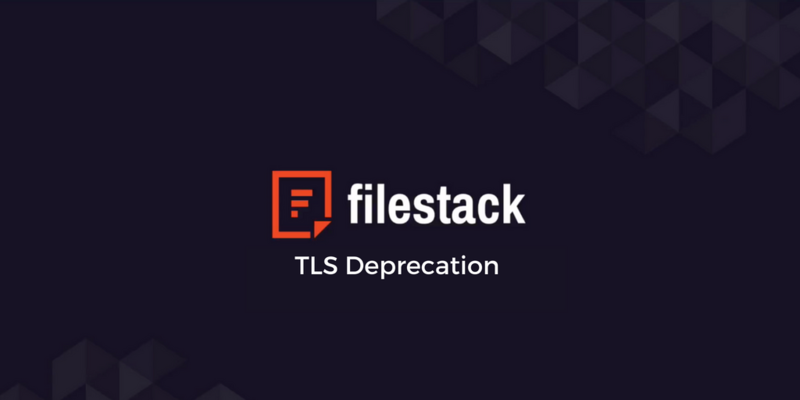 If you are using Filestack APIs programmatically please verify with your programming language and operating system documentation that your HTTP client supports TLS 1.2. For example, Python 2.7.8 (and earlier) and Java 7 (and older versions of Android) do not support TLS 1.2 by default. If your applications are using the Filestack Picker or CDN you can confirm browser version compatibility with your users by using SSL/TLS Capabilities of Your Browser and User Agent Capabilities list. If your software supports TLS 1.2, this example will return debug output from our Processing Engine in JSON format. If not you will see: Unknown SSL protocol error […] instead. We are making sure that your data is processed securely. If you have any questions about incoming changes please contact us at support@filestack.com. Should You Be Using OCR For Documents?